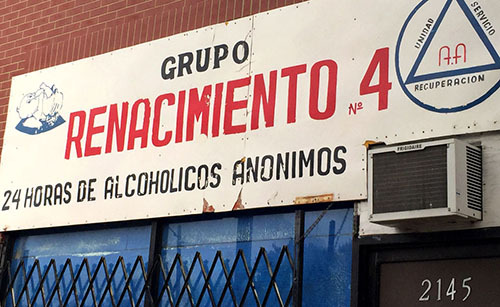 There are new developments in our story by reporter Adriana Cardona-Maguigad, about Puerto Rican drug users stranded in Chicago (and other cities) after being flown to unlicensed rehab places by police and other government officials in Puerto Rico. We did the story in collaboration with WBEZ. Puerto Ricans’ identities are especially valuable, because they’re U.S. citizens with Social Security numbers, and Spanish names. In a federal case against an alleged Puerto Rican identity trafficking ring, law enforcement agents found that a set of papers that included a birth certificate and Social Security card could fetch up to $2,500 on the black market. With that, an undocumented immigrant from South or Central America could obtain work authorization, a line of credit or even a U.S. passport. Yousef interviewed a Puerto Rican drug user in Chicago named Juan, who said the rehab place he was sent to told him they had lost all his papers. Years later, he tried to get a car loan and was turned down for bad credit. Yousef looked into it and found that Juan’s social security number was linked to a long employment history all over the country. Even during stretches while Juan was in jail, someone was earning money under his social security number. WBEZ contacted the state attorney general’s office about the possible identity theft. The AG’s office said the police or FBI should look into it. Chicago police and the FBI said they can’t investigate if no victims report it as a crime. Sheriff Tom Dart in Chicago heard the stories on WBEZ and filed a fraud report with the US Department of Housing and Urban Development. He alleges that HUD funds that go to Puerto Rico intended for housing drug users may instead be being used to send users off the island, sometimes to these unlicensed rehab places. WBEZ’s investigation continues. Watch this space for updates.